Exclusive, extra dry toast in a good company. Highly appreciated mainly by men and exigeant ladies. For important ladies. This sparkling wine is made in honor of the wife of the legendary founder of Hubert J.E., which after his death successfully led the company henceforth. An extraordinary combination of sparkling wine and brandy XO. Gentlemen’s drink the same way it was drunk many years ago. Exquisite sparkling wine for a toast at a special occasion or an exclusive gift. For the most demanding sparkling wine lovers. Its uniqueness is in making white sparkling wine from dark grape variety of Cabernet Sauvignon. The original with fine taste for those who know what they want. For self-confident people keen on quality. It has a noble velvety taste spiced up with fine effervescence. A delicacy that aged directly in the bottle. Its long lasting fizzing goes great with fruit desserts. Rose sparkling wine that reminds us of France. A true lady will appreciate a glass. Every woman wants to be chic. Demi sec white sparkling wine combines freshness and style that turns any moment into a unique occasion. Charming in terms of both taste and looks. For women who want to enjoy something sinfully feminine. It’s been warded a number of international awards. Captivating flavor of sparkling wine without sugar. Fruity aroma and elegant effervescence sweetens every moment. The most popular sparkling wine that is most appreciated. It is characterized by fresh yellow color and intense Muscat bouquet. All women who like sun and summer like rose wine. Enjoy it with a dessert served with berries. Light sparkling wine that refreshes in summer months. Properly cooled is simply irresistible. Semi dry version of summer Hubert club. Pleasing sparkling wine liked by everyone. It is great as a toast for every occasion. Simply for those who like their party sweet. Suitable for desserts. Ideal with a Sunday cake enjoyed in the countryside. Great contrast with the taste of white chocolate or custard and berries. Famous for its attractive ruby to crimson color. It is particularly suited to chocolate pralines. True flavor of Hubert sparkling wine without sugar. For a long evening or when you seek reward for a great achievement. True pearls without alcohol. 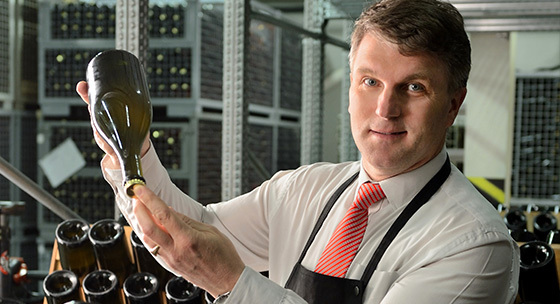 The original taste of sparkling wine is maintained also without the presence of alcohol. Suitable for those who can't drink alcohol. Pravé perly zbavené alkoholu. Originálnu chuť sektu si zachováva aj bez prítomnosti alkoholu. Vhodne pre ľudí čo nemôžu piť alkohol.